Get the PA Lottery Bonus Code and receive $5 Free and a deposit match up to $100. 18+. T&Cs. Play Responsibly. The Pennsylvania Lottery rewards new iLottery account holders with a generous welcome bonus up to $100. This offer comes to complement the $5 bonus in Free Play that is credited to all new players’ accounts after signing up and using the bonus code. With the activation of the Pennsylvania lottery bonus code, you can claim the bonus with no minimum deposit required. But, that’s merely it. The PA Lottery Casino bonus code hides several more pleasant surprises for the PA Lottery fans. Click on the button located below this list. You will be redirected to the official PA Lottery website. Look for the green Sign Up button on the top right corner of the page and click on it. Fill out the registration form with the necessary details. Note: Sometimes, bonus codes are automatically introduced to the system. In that case, you don’t need to copy or write them down and then paste or enter them in the designated Promo Code field in the sign-up form. Now, if you are more of a mobile player, you may use your portable device’s browser and access the mobile site or download the dedicated app. Then, follow the same steps as with the desktop to sign up. Don’t forget to enter the PA Lottery Casino bonus code to claim the welcome bonus. The above directions apply when you want to register with the operator using a mobile phone, tablet or another portable device. PA iLottery is the official site of the Pennsylvania Lottery. 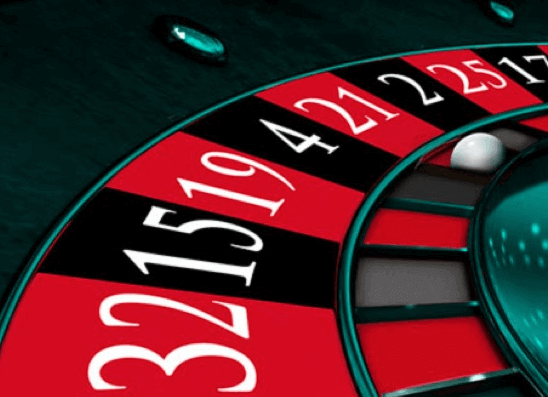 Although it does not yet have an extensive collection of games, it does manage to entice players with very interesting jackpots that could reach several hundreds of thousands of USD. If you are interested in registering with the operator, you can expect high-quality instant win scratch card games, among others, and offers that become available with or without the use of a Pennsylvania Lottery bonus code. What is indeed missing, though, is a wider range of payment options, as for the time being you may only use debit cards, PayNearMe, and ACH. It would also be much appreciated to see more games added to the existing collection. Of course, you can only benefit from a PA iLottery bonus code and all other offers available if you are physically located in Pennsylvania when you decide to play for real money, which leaves a broad spectrum of players out. Nevertheless, the website is still in infancy and already looks promising enough. When the platform enters adulthood, chances are it will impress even more with its mature charm, making it an even more compelling option for Pennsylvania players. The online operator launched with a total of 11 online games. It has been adding new ones with each passing month ever since. 12 Draw Games in the likes of PICK 2, Cash4Life, Mega Millions, Match 6, and more. About 50 Scratch-Offs (6 of which are new additions). Keno drawings every 4 minutes. Fast-Play tickets (approx. 20 options). Xpress Sports (football and car racing). All these games resemble arcade-style games and scratch cards where players are called to choose a sum to bet and then spin the wheel, roll dice or scratch off symbols for cash prizes. Then, there is the special VIP Players Club. It enables VIP members to claim exclusive coupons and offers for PA Lottery games. They also get to receive customized text messages and emails with the winning numbers and the latest Pennsylvania Lottery-related news. Under the current law, PA iLottery can offer the majority of lottery games, including Keno, tickets, and virtual sports betting. But no casino-style games, such as slots, blackjack, roulette or poker are available. That being said, though, casino fans may find some of the instant win games deliver a function and feel similar to that of slot games. This is why you won’t find any PA Lottery Casino bonus codes available in the literal sense as PA Lottery is not a casino per se. However, given that it delivers a near casino-like experience, the promo codes can also be referred to as PA Lottery casino bonus codes. What is also worth noting about the games section is that players have the chance to wager on games with as little as $0.01 per round and going up to $20. Of course, the bigger the wager, the more generous the potential reward, as in all games. Finally, the website publishes an important metric called RTP (return to player) for all games, which pinpoints the average % of bets that go back to players’ accounts in the form of prizes. If you have no idea what this means, let’s just say that the higher the RTP, the higher the payout. For instance, a game with a 75% RTP will pay out $75 for every $100 wagered (note that this is not cash rather than prizes). PA Lottery’ payout percentages range between 84% and 89%, which is quite exciting, especially when compared to other lotteries whose RTP is nowhere close to that of PA Lottery. The Pennsylvania Lottery has a newly designed and fully functional mobile site to please players that prefer to take their online gambling experience wherever they may be within the state (or buy their online lottery tickets). The mobile platform is sleek, mobile-friendly and offers all promos available on the desktop site. As for the free downloadable Pa Lottery app, Android users may download it from the PA Lottery website – not Google Play. While the Apple App Store will enable iOS users to download the app on their Apple devices. Then, both operating systems’ users will have full access to a wide range of options, services, and games. This includes the Ticket Scratcher feature where they can scan their ticket barcode and enter Second-Chance Drawings if they have not won, the iLottery, the daily winning numbers and current jackpots, all of the remaining prizes and the latest Scratch-Offs, Fast Play tickets, Keno Drawings, the latest Xpress Sports results, the VIP Players Club, a Retailer Map, and many more. To purchase lottery tickets online from PA Lottery, you will need to create an account with PA iLottery. This is a standard process across all states that offer online lottery sales. To open an account and buy lottery tickets or play online lottery games you must be at least 18 years of age, be physically located in the PA state borders, and have a valid PA address. You will also be asked to choose two security questions from a drop-down menu and provide answers. Besides, if you have a PA Lottery casino bonus code, you will also be required to type it in at sign-up. You may also sign up from a portable device. The operator has both a mobile app for both Android and iOS users and a mobile website. To initiate the download process of the PA Lottery mobile app, you may either text “APP” to 66835 or enter your mobile phone number in the PA Lottery mobile page. Then, you will have access to iLottery, scratch-offs, winning numbers, Keno, fast play, Xpress Sports, and many more. Provided you have an Apple iPhone with iOS 6.0 and greater or an Android 4.0.x (Ice Cream Sandwich) and above. Besides the new player welcome bonus, there are several other offers to go after. There always seems to be something going on at PA iLottery. 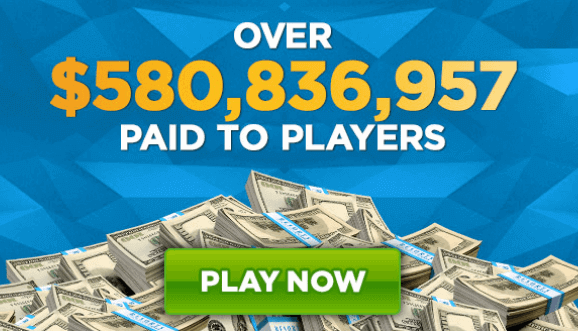 At the moment of this writing, the following rewards are waiting to boost your chances for more earnings and do not need a PA Lottery casino bonus code to activate. Sometimes, using the PA Lottery casino bonus code once when you register instantly makes you eligible for other promos as well. Sunday Dragon’s Story Cashback – The promo enables you to earn 20% cashback on a Dragon’s Story. This could load your account with up to $100, provided you try your luck with the game on a Sunday! Monster Monday – If you wager on Monster Wins and deposit at least $25 during the promo period, you can obtain a cashback bonus (up to $100). The bonus is calculated based on your Net Loss (you receive 20% of it back as a bonus). $50,000 Pot of Gold Prize Draw – Players that opt in to this promo have the chance to win between $50 and $10,000. Over the course of six weeks, 800 lucky winners will earn $50 while the grand prize of $10,000 will be awarded to one player. To qualify for this offer, you need to make a minimum deposit of, at least, $25 for an entry. Friday Fortunes – Following the Sunday, Monday, and Wednesday promos, Friday Fortunes will reward you with a 20% cashback bonus up to $100 for your Friday endeavors while playing Rainbow Fortunes. Subscribers’ promotion – Players that subscribe to iLottery receive a promotion in their email every Thursday. Surprise Saturday – This day is full of surprises as it enables you to win a prize draw, cashback or deposit bonus to enhance your experience. Debit Cards – MasterCard and Visa. ACH Bank Transfer – Use both for deposits and withdrawals. PayNearMe – Go to the nearest CVS, Family Dollar or 7-Eleven. Present the barcode that you will be provided by the operator to the cashier. Regardless of which payment option you choose, the minimum deposit and withdrawal amount required is $10. However, there is no upper cap on how much money you can withdraw. Note that before you try to get in touch with a customer service agent, you can also go through the comprehensive Help Center section. There you will find a list of answers to a wide range of questions, including those related to funding your account. Using the state-sanctioned platform of the PA Lottery (aka PA iLottery) is perfectly legal under the gambling expansion bill that was passed in October 2017. It is a bill that legalized online lottery sales inside the state of Pennsylvania. The Pennsylvania Lottery Bonus Code allows players to get a $5 free bonus and a very generous 100% match bonus up to $100 on the first deposit! It is definitely one of the best lottery bonus there is on the market! Additionally, they receive weekly offers through the PA Lottery newsletter. T&Cs apply.